I am OBSESSED with this cocktail right now. No, not just because it’s spooky and totally makes me feel like a real adult whenever I’m sipping on it (even when I’m celebrating Halloween). If you know anything about me, you know that I prefer strong, bold cocktails. I like to taste the flavors of the liquor and other ingredients in every sip, so nothing is lost in the glass. Shying away from sweet cocktails in the last handful of years has been a new experience, and man oh man has it been simply delightful. 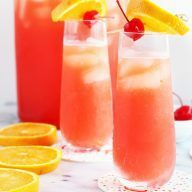 This cocktail is the epitome of the ideal balance of different liquors. 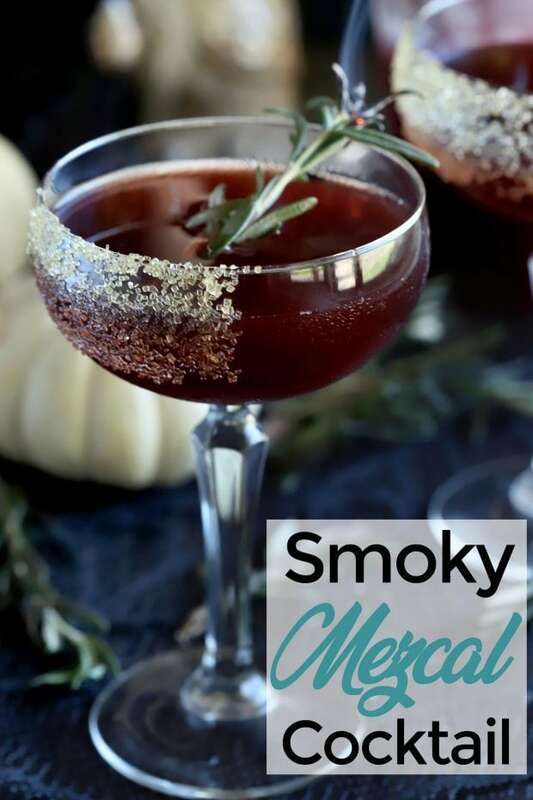 To start off, you have smoky mezcal to build a great base of flavor. Those smoke notes come through and linger on your tongue as you take a sip. 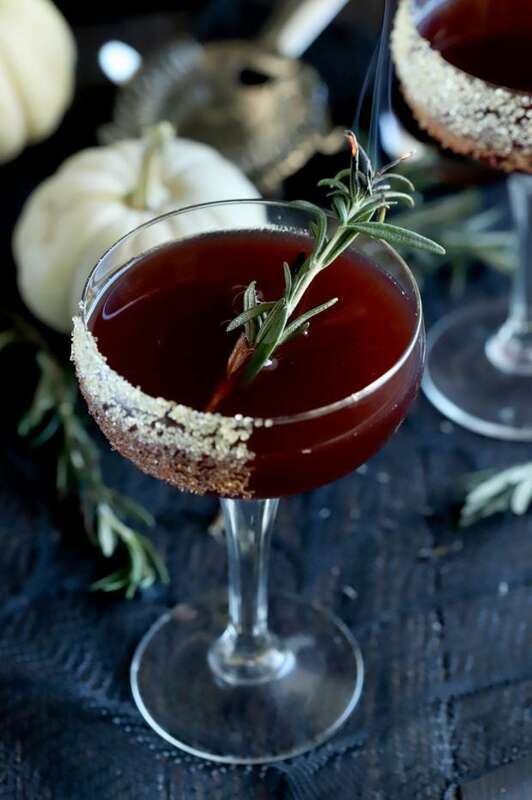 This mezcal is layered with smooth amaro and ruby port that brings a nutty undertone to the party. 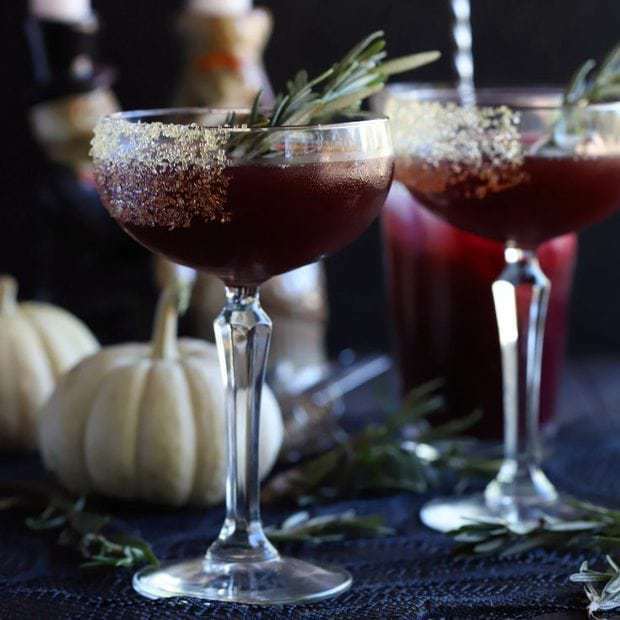 All of this gets a boost from the tartness of the pomegranate juice, and all the sweetness you need is hidden in a small amount of agave in the glass, with a sparkling tinge of turbinado sugar along the outside of the glasses. 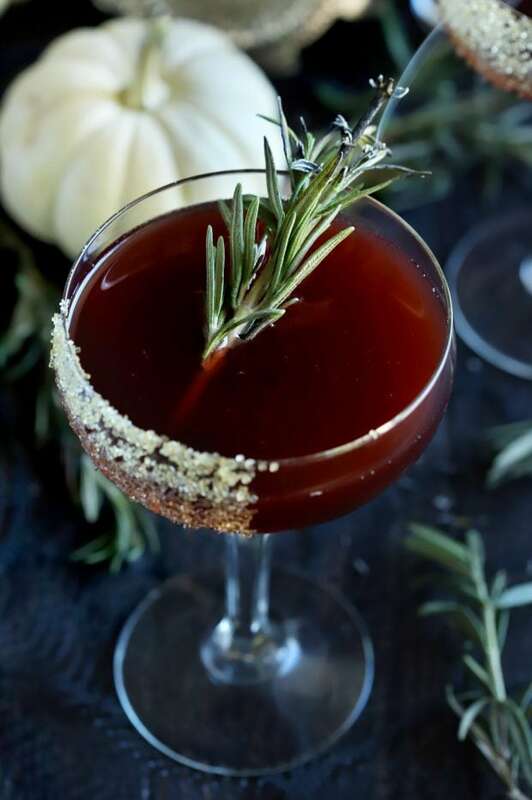 After all of this cocktail building (don’t worry, it’s not intensive cocktail building, it’s a simple cocktail that can be stirred together in a mixing glass), you finish it all off with some charred fresh rosemary. 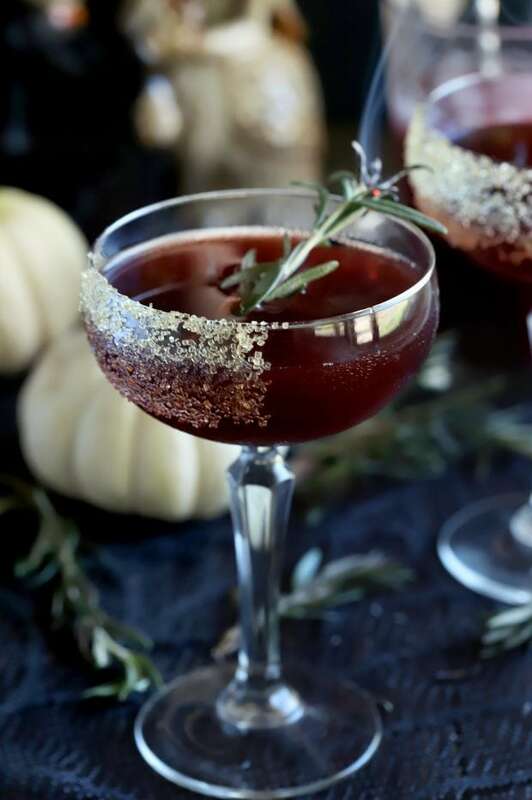 The smell of the smoky and herbaceous notes really elevates the drink to a whole new level, while also adding a note of spookiness that’ll peak anyone’s curiosity. It’s just SO. DARN. GOOD. I literally could enjoy one of these every single day. The balance is pure perfection and I honestly never get sick of it. 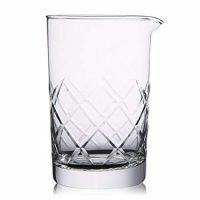 I love having a small Hiware Cocktail Mixing Glass on my bar cart because it’s the ideal size, and it looks so much better than a plain ol’ pint glass.
! 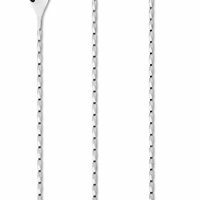 It’s actually really affordable for these spoons, not to mention they are stylish and give you the ability to use them in varied sizes of mixing glasses. 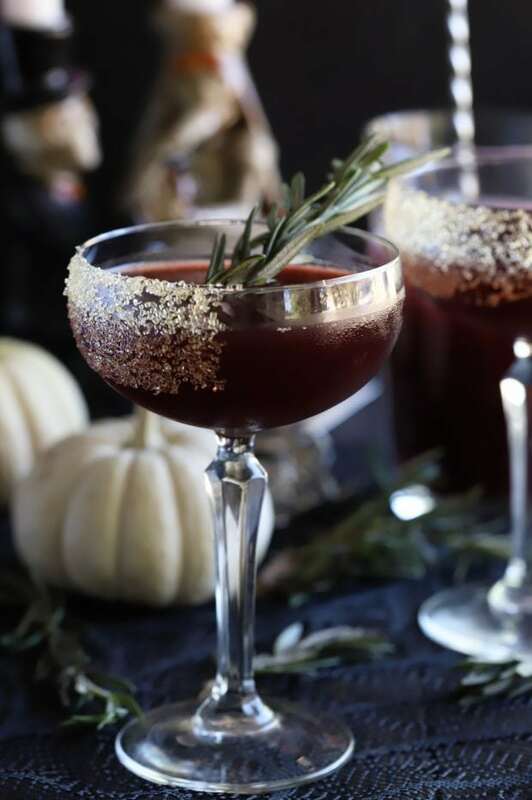 To get the spooky smoky look of this cocktail, you’ll have to grab your handy kitchen torch. 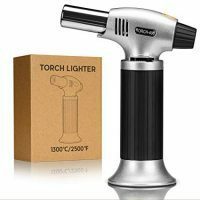 If you don’t have one, I like this GiBot Kitchen Culinary Torch. Torches do so much more than simply caramelize the top of creme brûlée! 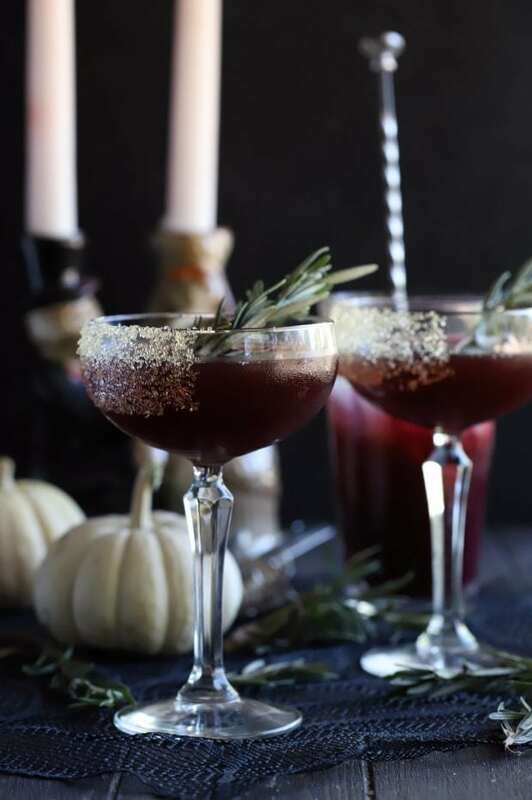 Pin this Spooky Pomegranate Mezcal Cocktail recipe for later! 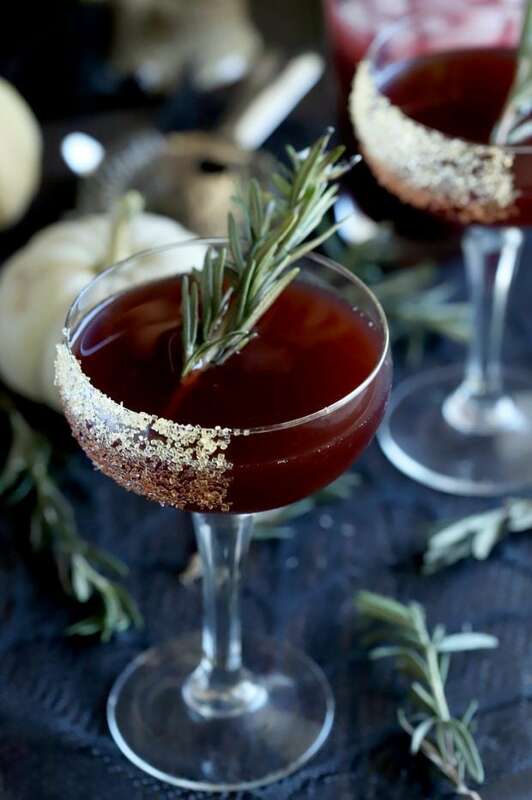 Smoky, tart, and smooth, this cocktail packs bold flavors with a flair of smoking fresh rosemary. 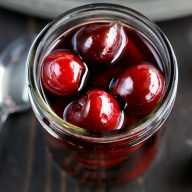 Add mezcal, amaro, pomegranate juice, port, and agave to a pint glass or cocktail mixing glass filled with ice. 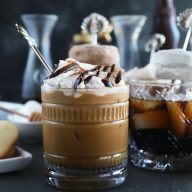 Strain into two coupe glasses that have been rimmed with turbinado sugar. I like to rim just a thick section on one side of the glasses as you see in the photos. Make sure you divide the cocktail evenly between the two glasses! Garnish each cocktail with a sprig of time and, using a kitchen torch, char the ends of the rosemary sprigs so they are smoking. I love holiday cocktails. This one sounds like the right fit for this years parties. Love anything with pomegranate, this looks so cool! I’d sip on that! So festive. 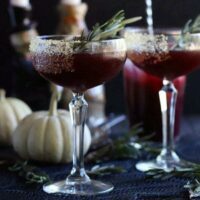 I am all about the spooky cocktails! Love this! Pour me, pour me, pour me… another one of this delicious cocktail.